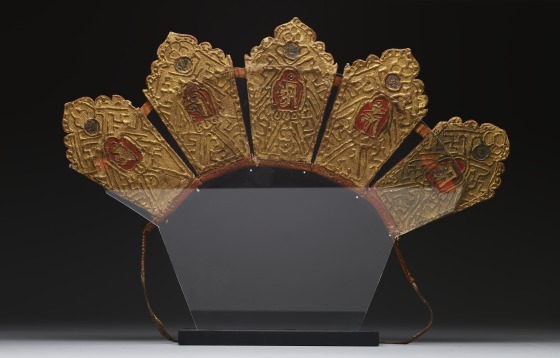 Crowns or headdresses like this example are used in Tibetan Buddhist rituals. 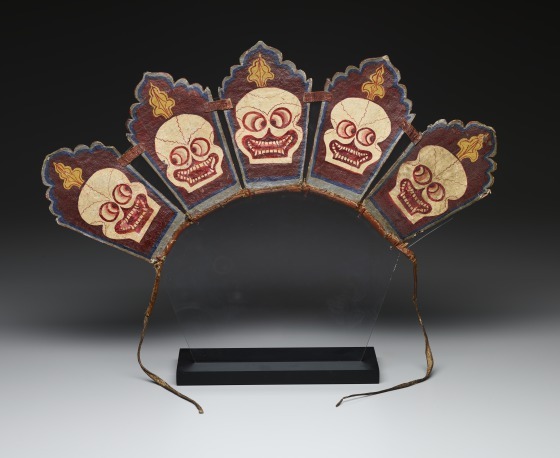 They are worn by young men during initiation ceremonies when they are accepted as monks in a Tibetan monastery, or during ritual chanting or monastic ritual dances. 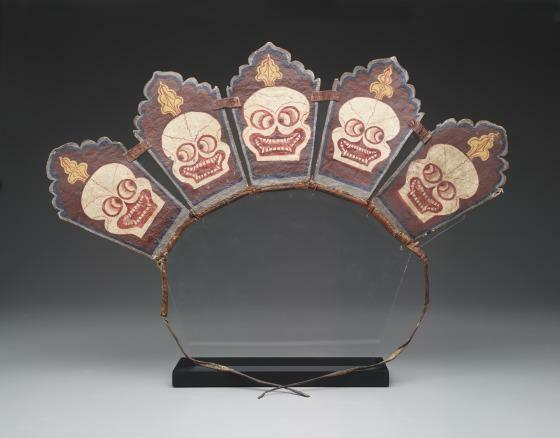 The five skulls act as reminders of the transience of human life and emphasize the teaching that a Buddhist must transcend fear of death and attachment to life in order to escape the cycle of reincarnation. Label text, Anne Bromberg, 2006. Learn more about Tantric Buddhism.